Higher Education Council adopts ethics code forbidding lecturers from supporting BDS, turning classes political. 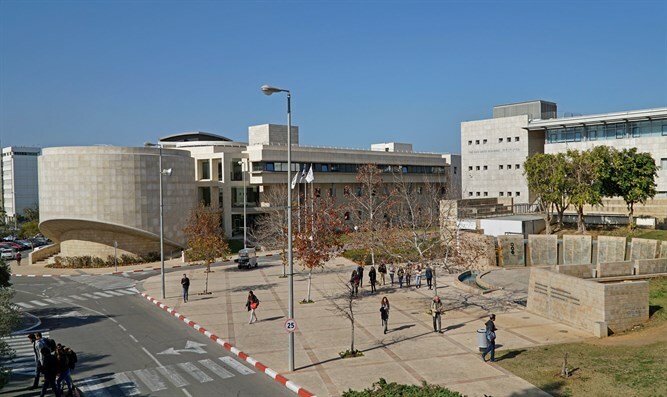 Israel's Council for Higher Education decided to adopt a controversial ethics code promulgated by Education Minister Neftali Bennett that would ban lecturers from supporting Israel boycotts, Yediot Aharonot reported. The new ethical code, which was written by Israel Prize Laureate, Philosophy Professor Asa Kasher, who also wrote the IDF Code of Ethics and has defended Israel's Law of Return as a form of affirmative action, will be adopted by all of Israel's institutions of higher learning and is to take effect in 2019. The new code also included a section forbidding lecturers from invoking political opinions during lessons, but will not force universities to punish violators, in contrast to other parts of the code. The code also forbids universities from discriminating against students based on their ethnicity, gender, race, or political opinions, and bans lecturers from supporting boycotts of Israel. Prominent researchers had charged that the section infringed on academic freedom. "The proposed ethical code formulated by Professor Asa Kasher removes from the academic institutes the freedom to lay down the rules for behavior and conduct by members of the academic staff," said a statement by the Association of University Heads. In response, Bennett said that it was "absurd" that professors who are being paid by taxpayer money were using their job to call on their colleagues around the world to boycott Israel. "We are working to prevent academic suppression in order to prevent a student from being harmed because of his political views or for a lecturer who receives his salary from the taxpayer to come out with a call to boycott his own academy," said Bennett. Im Tirtzu, the grassroots Zionist organization, was a driving force behind the code. "This is a breath of fresh air for Israeli academia," said Im Tirtzu CEO Matan Peleg . "The code is a correct and necessary measure toward ending politicization in academia and ensuring that students receive an unbiased and pluralistic education." "However, there is still a lot of work ahead of us," added Peleg. "What we have witnessed over the past year – calls for intifada on campus, comparisons of Israel to Nazi Germany in the classroom, and professors promoting the boycott of Ariel University – shows that the true test of the code still lies ahead and that it needs to be implemented in full force."